Glasgow Roofer Specialist. All Roofing Services & Repairs in Glasgow. As a professional Roofing Specialist, we at Balmore Roofing of Glasgow pride ourselves on the consistent delivery of reliable, professional and high-quality roof repairs. From simple roofing repairs and tasks like fixing simple wear and tear to tiles and slate problems, to more advanced work involving dangerous cracks and holes that may be health and safety hazards to your property; we cover it all. We have been repairing roofs in Glasgow for over 30 years so you can be confident that you are getting the very best in roofing services and repairs from a qualified and experienced roofing firm. We only employ the most experienced and skilled roofer professionals in the roofing industry on a full time basis so that we can guarantee our quality service time and time again for all residential and commercial roofing repair jobs. It is why so much of our business comes from happy recommendations from existing clients who have seen our work first hand. For a FREE Roof Survey and FREE Estimate for your Roof Repair, call our Glasgow office on 0141 944 6100. At Balmore Roofing Glasgow, our Roofers offer a high standard of expertise and are skilled in dealing with all types of roof from flat roofs, slate roofs, tile roofs and more! 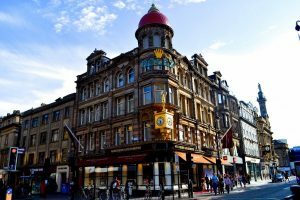 With so many kinds of roofing construction and method across Glasgow and Edinburgh, our roofing experience can prove to be invaluable against our competition. Often, inexperienced roofers offering a ‘too-good-to-be-true’ price for roof repairs, can end up costing you MORE in the long-term, as the work is not to the highest standard and any repairs are not the long lasting kind. From leaking roof repairs or flat roof restoration, Balmore Roofing Contractors have the experience and know-how to deal with all roofing problems effectively. We’re a Glasgow roofer and have been around long enough to fix any and all types of roof repair job – particularly with the Scottish weather! – and our experience and skill means that the most common problems can be relatively straightforward to fix. For a professional and trustworthy roofing contractor in Glasgow, look no further than Balmore Roofers. We are a reputable Glasgow roofing company with your trust and needs in mind. 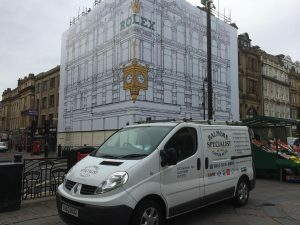 At Balmore Roofers, we take pride in serving the people of Glasgow and have done for over three decades – Continually ensuring that their homes, businesses and buildings are wind and water tight. We offer roof repairs, building restoration and many other services to support you and your property. Whether you are a commercial business needing your facilities surveyed, or a homeowner requiring some roof repairs, we are committed to delivering the highest quality workmanship possible. We assess your individual specification rigorously and arrange a schedule of works that suits your own commitments and timetable. We understand better than anyone that roof repairs can be stressful for those involved, so we try to make the process as easy as possible. This means maintaining good communication with our customers every step of the way, getting work started as soon as possible and completing roof repairs within the time frame we agree to. Be assured that roof repairs don’t need to be a hassle, especially with Balmore’s recommended and experienced workmen tackling the job. 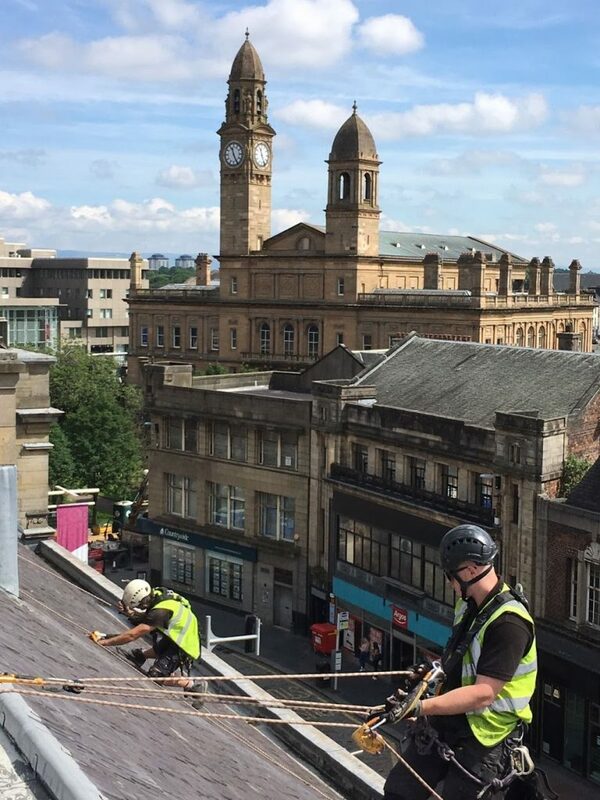 Commercial businesses, individual customers, churches and charities have hired Balmore Roofing repeatedly, citing their satisfaction with our efficient roofing repairs and attitude to the job at hand. Our customers trust us and know that they will always get the best service and workmanship at the best price. Roof repairs require a reliable roofing company, as they are often needed in an emergency situation. Balmore roofing contractors are recommended for the efficient repair of all kinds of roof problems, including flat roof repairs, garage roof repairs, roof leak repairs and much, much more. Do you need help? Give us a call or send an email to Balmore Roofing for advice and help with your roofing problem. The safety of our customers and employees is Balmore Roofing’s number one priority. We carry out a free survey of your roof to alert you to any hazards to your safety. We also note the design and appearance of the roof of your property, it’s condition and any associated risk. Roofs can be replaced, people cannot. When you hire Balmore’s professional roofers, you can rest assured that we take safety very seriously. We wouldn’t consider working on a roof or other structure without first carrying out roof surveying and a detailed inspection. This ensures the safety not only of our employees, but also members of the public who may come into contact with the affected building. You can trust us here at Balmore – we go about our work properly.